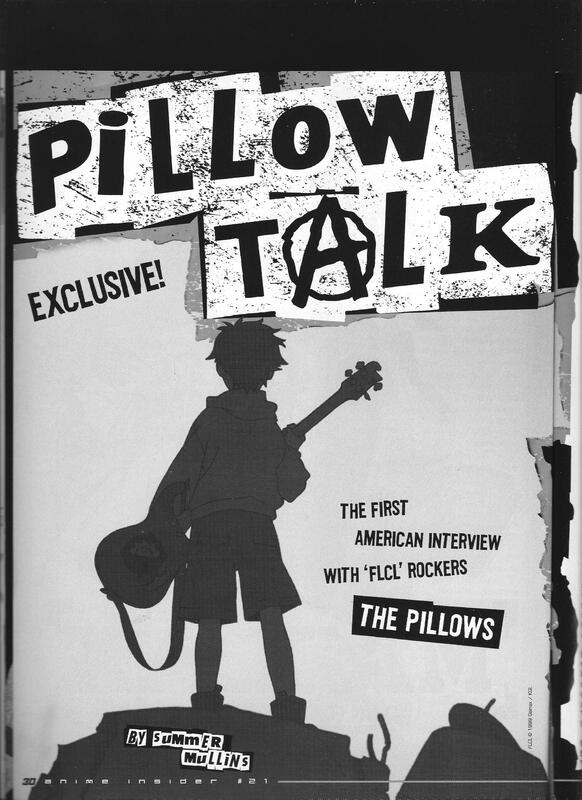 [Purportedly] the first-ever English interview with popular band The Pillows. 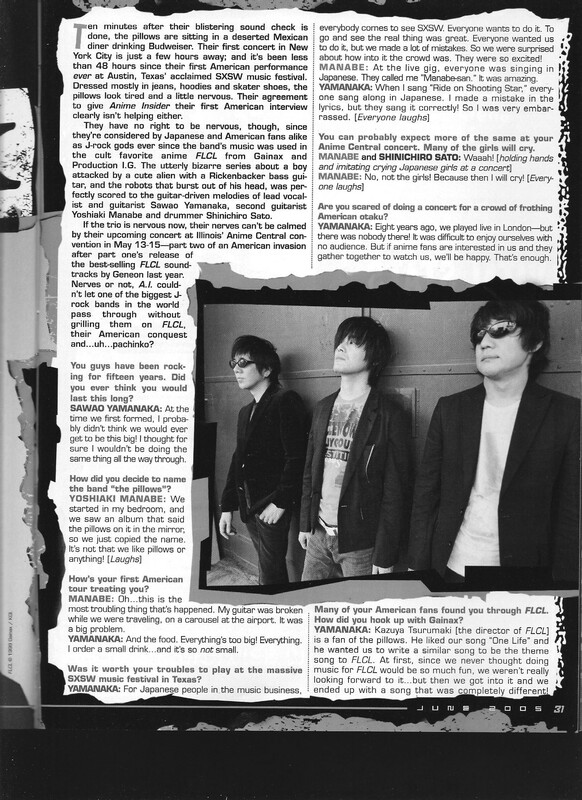 They talk about their favorite bands and their rise to popularity. Funniest part? 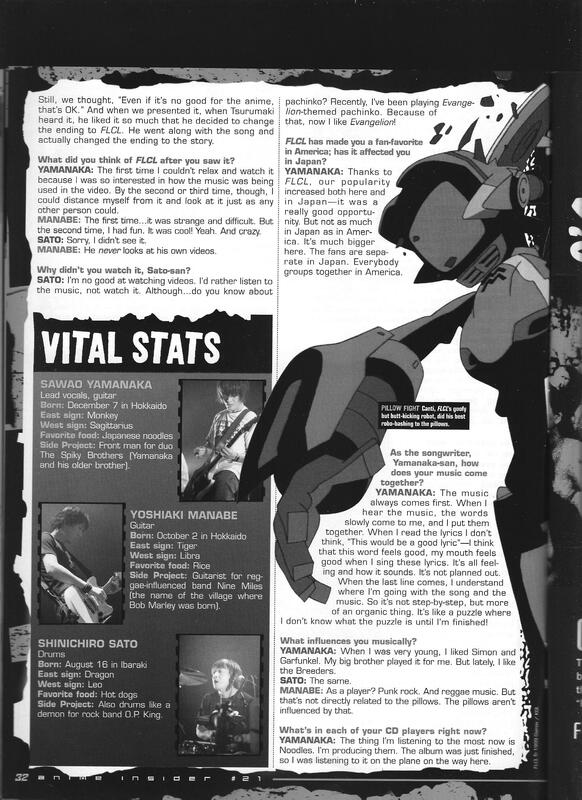 The drummer, Shinichiro Sato, has never watched FLCL but got into Evangelion because he plays on Eva-themed pachinko machines. 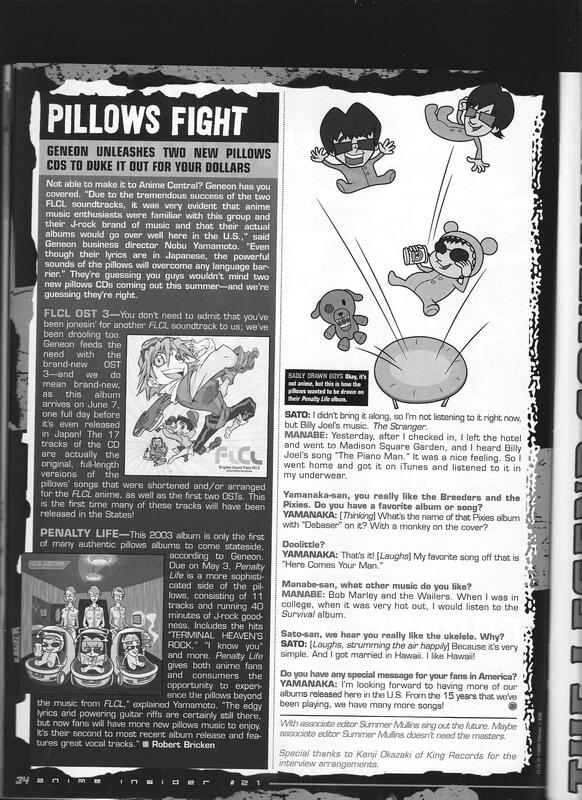 This entry was posted in Old Magazine Articles and tagged Borderline Plagarism for the Freedom of Information, FLCL, Music, The Pillows by torisunanohokori. Bookmark the permalink.